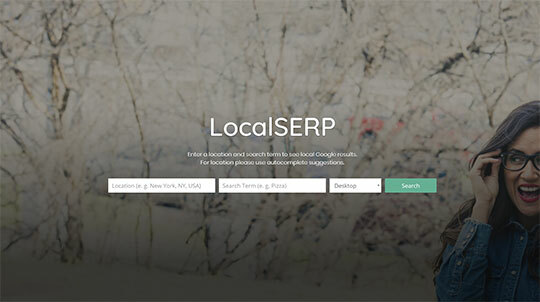 With LocalSERP you can simulate using Google Search from a different location. It's useful for searching Google as if you were somewhere else. 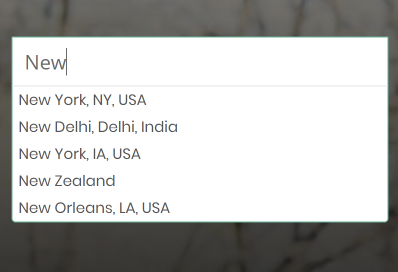 You can emulate a search from any country, city, neighborhood, borough, district or even ZIP code (postal code) around the world. See exactly what customers see in Google in all the different locations. Emulate a search from any location. LocalSERP allows you to change your geo-location by simply entering a country or city name or postal code. See what customers really see. Google leaves marketers blind to what customers really see in different locations. With LocalSERP you see exactly what customers see. Emulate a search from a different device. LocalSERP simulates not only geopositions but user devices (mobile, tablet or desktop) as well. Google Search from a different location & device. 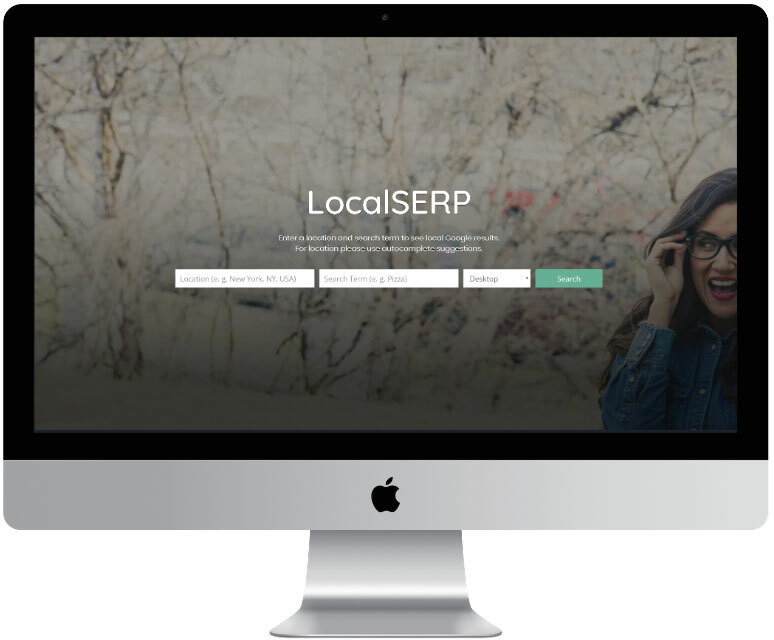 LocalSERP is useful for advertisers and companies concerned with their website rankings on Google, whom it helps to quickly check their search engine advertising and optimization (SEA & SEO) results and that of their competitors. Backed up by a 7-day money back guarantee. What can I do with LocalSERP? You can enter a location and a keyword and then see the original Google Search Results Page as if you were in that location and would search Google from there. Locations can be countries, cities, city parts or ZIP/postal codes. 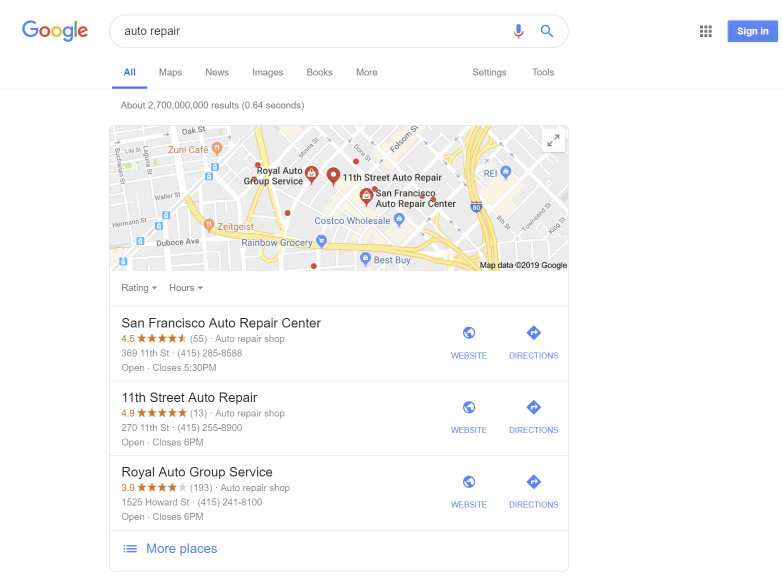 How is LocalSERP different from Google's Ad Preview Tool? Ad Preview does not let you click on the ads or search results. LocalSERP does. Ad Preview shows only the first results page. With LocalSERP you can see as many results pages as you want. Generally, Ad Preview is meant to be a static preview. LocalSERP gives you the full-featured results page. Last but not least, Ad Preview is not working as intended. Results often aren't the actual results customers in your target location see. We offer full refund within 7 days of the day you subscribed. I've been using Google's Ad Preview Tool for years and was constantly amazed that a company like Google can release such a dysfunctional piece of software. LocalSERP is what Google's Ad Preview Tool should be. Before I found out about LocalSERP I used VPNs as a solution to view how ads appear in different places. 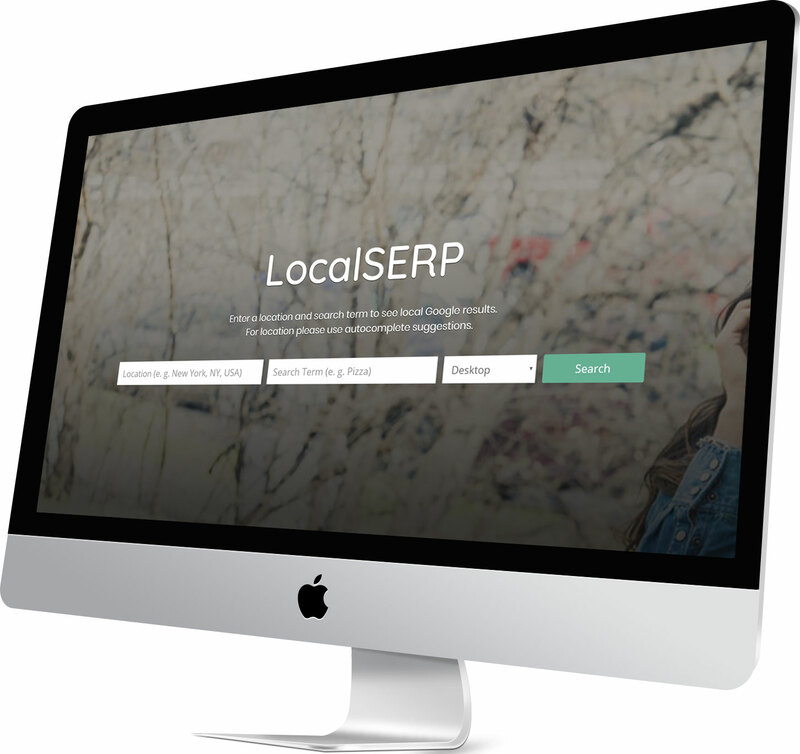 LocalSERP is more convenient and lets you select your location even on a ZIP code-level. For years, I did not know if my AdWords ads were showing as intended. Especially if I restricted my campaign targeting to “people in my targeted area”. With LocalSERP these days are gone. Sign up now and stop being in the blind to what customers really see in Google. Most of the queries customers use to find businesses are geo-sensitive. They are likely to change a lot from city to city, and even from district to district. If you’re a search pro you need to see the actual search results as customers see them.